Lloyds Laboratory Rub Resistance Tester is a tool for visually comparing the rubbing, scuffing and marking of inks and coatings on commercial print and packaging on a wide range of substrates. The tester uses a rotary motion to abrade the printed surface against virgin material, face to face against itself or to a reference material. The user can vary the abrasion force or number of cycles to adjust the severity of the test. 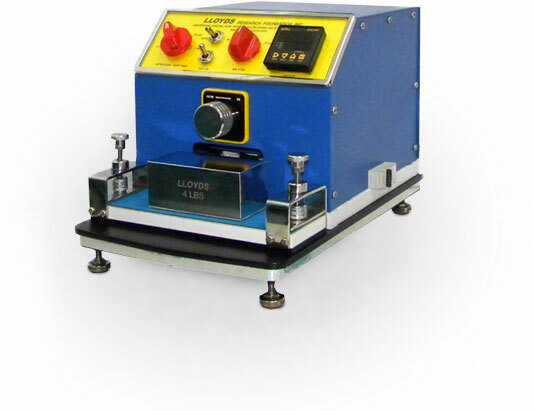 Lloyds laboratory Rub Resistance Tester is a tool for comparing the rubbing, scuffing and marking of inks and coatings on commercial print and packaging. 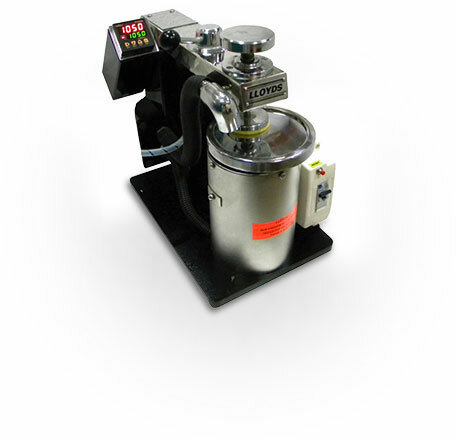 This tester allows the user to visually compare the performance of different batches of production, ink/varnish formulations or substrates under the same abrasive conditions. It is designed to determine the quality of adhesion, and scuff resistance of ink to paper surfaces, plastic and aluminium film. It will dry or wet rub the sample until it achieves the pre-set value.